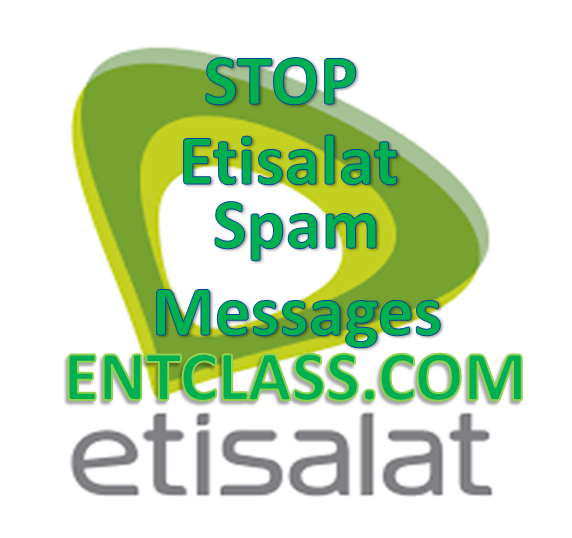 On the off chance that you have been subjected to annoying text messages on your Etisalat line, the Nigerian Communications Commission (NCC) says that your network provider needs to give a quit code to prevent you from such annoying text messages. Though Etisalat has agreed to this order and gave us the required code to unsubscribe from all those annoying text messages which is also known as spam. I will give you guys the code to unsubscribe from those annoying text from Etisalat. I recently posted the one for MTN on this blog Entclass.com, on how to unsubscribe from annoying text messages that also deduct your money. If you missed the post, kindly check here. Navigate to Text Message => Create New Text Message => Then sms "STOP" to 224. You will recieve a progress text after sending that message. One of the reasons i didn't use Etisalat was because of those annoying messages.